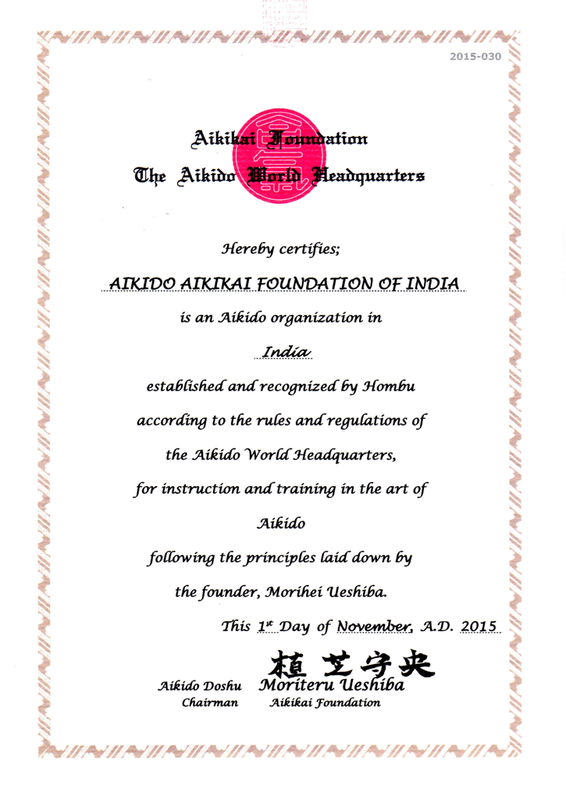 We are happy and excited to inform you that Aikikai India has received Certificate of Recognition from Aikikai Foundation and Aikido World Head Quarters in japan. We thank you very much for your support and hope that you will continue to spread the teaching of OSensei. In his interview with the Hindi daily Dainik Bhaskar, Congress Vice-president Rahul Gandhi mentioned he loved swimming and running, and also did meditation and aikido. This last revelation might have left a few scratching their heads, or reaching out for Google, and with good reason. A Japanese martial art that originated in the early 20th century, aikido has not attracted the kind of following karate, judo or taekwondo has in India. “It takes a long time to master aikido and people prefer martial arts where you can master some kicks and punches in a few classes,” says Paritos Kar, who has been teaching aikido in Delhi for 10 years and whose students include the Gandhi scion. Kar spent 10 years in Japan learning the martial art, and another few teaching it in Russia, before returning to India. Kar says aikido is different because though it is used in self-defence, it is a non-aggressive martial art. “There is no winner or loser, and there are no tournaments. The objective is not to beat anybody.” It is not a sport, but a way of life, he adds. The Aikido World Headquarters website says the goal of aikido training “is not perfection of a step or skill, but rather improving one’s character according to the rules of nature. One becomes ‘resilient’ inside yet this strength is expressed softly.” If that sounds a bit esoteric, it goes on to add that “a pure budo (or way of martial arts) comes with the unification of technique, body and heart” and that its manifestation depends on the practitioner’s heart. The aim of aikido, it says, “is a kindness of heart expressed through this spirit of budo”. Not exactly what one might expect to read on a martial arts website but the idea of peace and harmony is central to the philosophy of aikido, as paradoxical as it might sound. The martial art was developed by Morihei Ueshiba, referred to as O Sensei, in pre-war Japan, though it is said to have been consolidated in its present form in the 1940s, with the word “aikido” being used first in 1942, according to a website dedicated to the history of aikido. 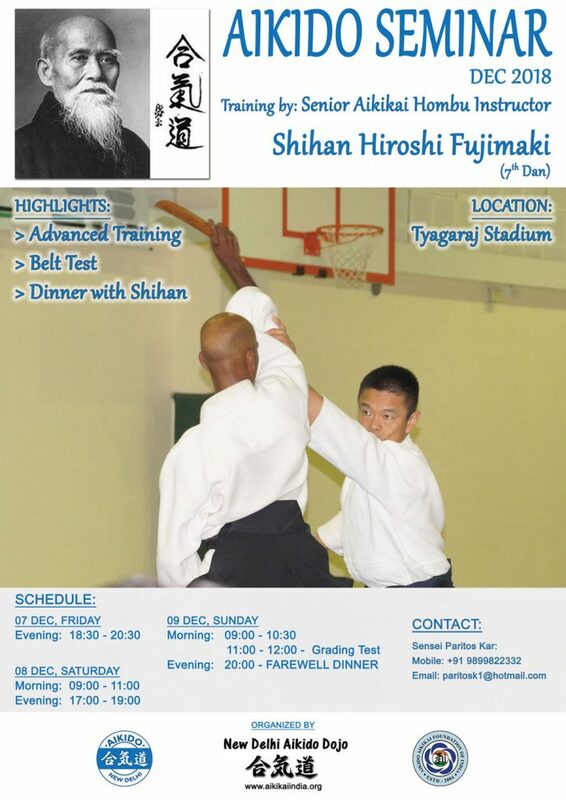 After Ueshiba’s death, many different style of aikido developed. Kar follows aikikai, the method helmed by O Sensei’s grandson, Moriteru Ueshiba. There are other schools all over the country teaching different styles, including in smaller cities like Varanasi, while the aikikai style is taught in Mumbai and Chennai, apart from the capital. 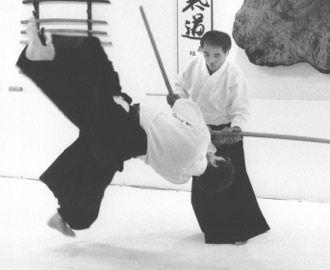 Coming to the more practical aspects, aikido focuses on developing power, irrespective of actual physical strength. Practitioners are taught to use the energy of the attacker to control them, rather than punching or kicking them. It’s a martial art that can be learnt by anybody, but to practice, one needs a partner. There are different levels, and it would take a beginner at least five years to reach the first black belt, before which there are a couple of preliminary exams to be cleared. The final level is ninth and only a few people in the world are said to have reached it in the aikikai style. Kar himself is at the fifth level, while Rahul Gandhi is reported to have a first-level black belt. Courses begin at Rs 2,000 for 12 classes a month. Though there are three centres in Delhi, growth has been at a snail’s pace, say Kar. “There aren’t too many people learning aikido because it requires a lot of patience. And in Delhi people don’t have patience,” he says bluntly.